Mayne Island was first visited by Captain George Vancouver in 1790. Mayne was named after Lieutenant Richard Charles Mayne of the H.M.S Plumper, a steam sloop, by Captain Richards circa 1859. Mayne Island is credited with being the first place to grow apples in BC. Mayne was also a half way point for miners on their way to the Cariboo gold rush around 1858. Mayne is 21 sq km in size, making it the smallest of the big islands. Mayne's population is about 900 people. 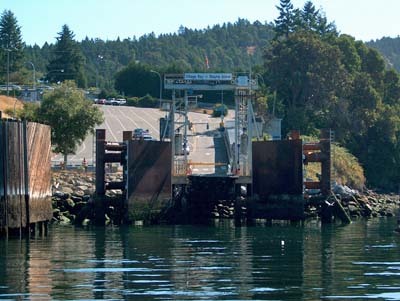 Mayne is an important "transfer" hub island for the BC Ferries Gulf Islands routes, at its Village Bay terminal. 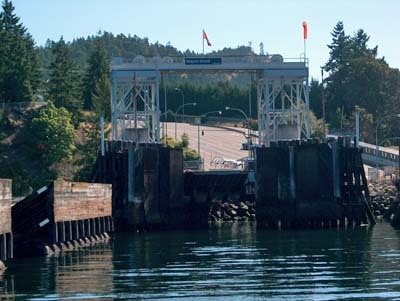 Mayne is a frequent stop for inter-island ferry traffic. Bennett Bay, facing back to the Lower Mainland, coastal mountains (great Mount Baker view! ), offers a lovely sandy beach -- like a mini-Long Beach! Deep water moorage is found in Horton Bay. Although there is a convenience mall at Miner's Bay, plus one of the oldest pubs in B.C., there is also a "resort"/restaurant at Bennett Bay, and a 5-star country inn/award winning dining room near Dinner Bay (Oceanwood Country Inn). Looking for more details on rural Mayne Island? "See Li for Successful Solutions!"